Battle of Forts Jackson and St. Philip (18 Apr 1862-26 Apr 1862) - A U.S. Civil War Battle fought between Union forces under US Naval Captain David G. Farragut and Confederate forces under Brigadier General Johnson K. Duncan,(Cullum 1411), CSA. Known by Union and Confederate forces as Battle of Forts Jackson and St. Philip. 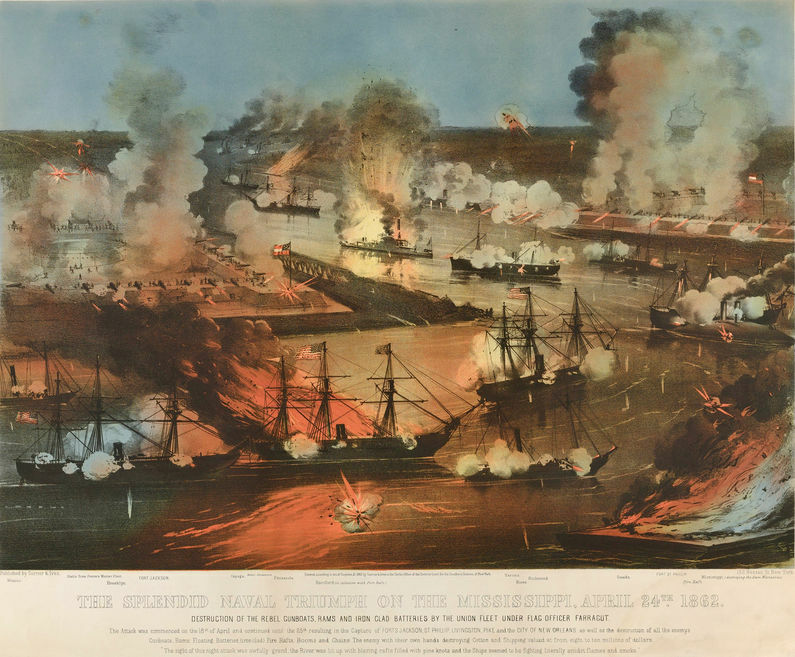 The battle was fought on the Mississippi River in Plaquemines Parish, Louisiana and resulted in a Union victory when the Union ships ran by the Confederate Fort Jackson and Fort St. Philip. Battle of Forts Jackson and St. Philip. Fort St. Phillip is shown at right and Fort Jackson at left. Only Fort Jackson is accessable in Plaquemines Parish, Louisiana. Location: Fort Jackson in Plaquemines Parish, Louisiana. This page was last modified 15:31, 24 February 2019 by John Stanton.